In the past decade or so, booze trends have been making the rounds ─ from the craft beer hype to the carefully crafted gin craze. Now experts are claiming rum will be the next trend that will stir up South Africa, and with good reason! Lately, craft distilleries have been adding some high-quality rum to their lists of produced craft spirits, and needless to say, rum is now making a massive comeback. 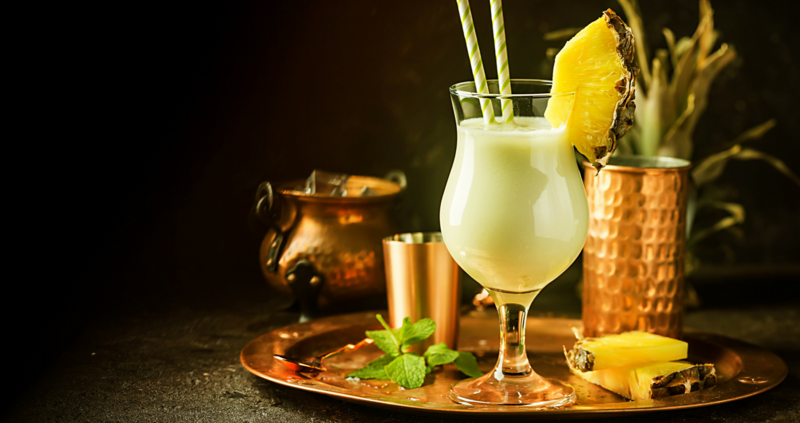 TravelGround has rounded up a hot list of some of the best craft rums and where they can be found in South Africa, so that you can end your winter off on a strong note. This new but already award-winning addition to the rum menu is produced by James Copeland in the Deep South Distillery in Kommetjie, who initially made waves with their variety of gins. Copeland Rum won a silver medal at the Michelangelo International Wines and Spirits Awards in 2017. James was motivated to start his own brand with the question in mind, “Why does South Africa, with a history of over 200 years of sugarcane production, have no unique rum culture of its own?” This inspired him to go on the journey of creating a rum that will give it the status it deserves. Copeland Rum boasts bold flavours with no additives or sweetening and goes well with fresh fruit juices and classic cocktails. Visit their website for more information on how to purchase Copeland Rum. The Du Plooy brothers’ love for our country, their passion for farming and creative freedom inspired their making of Die Warm Rasta Rum ─ a 100% farm-grown product. The Free State’s climate and the barrels used for culturing ensures this rum’s unique taste. The production, which takes place in De Vry Distillery on a farm in the heart of the Free State, starts with combining refined molasses and cane sugar with certain yeast cultures and borehole and reverse osmosis water ─ an environmentally friendly process that gives you all the more reason to try out this one-of-a-kind rum! The Du Plooy brothers use an all-grain base for their spirits, which differentiates them from other South African spirits. De Vry Distillery’s products, that includes vodka and gin, can be purchased online. Tasting tours can also be arranged by appointment via their website or a phone call. Visit their website for more information. Being South Africa’s first Premium Rhum Agricole, Tapanga Rum is produced in limited batches by sugarcane farmers on Tapanga: Single – Estate Rum Africole in Zululand to ensure a truly new and exclusive product. Tapanga Rum boasts two different kinds of rum: Tapanga Gold Rum and Tapanga White Rum. Tapanga Gold has a prominent vanilla undertone, dry taste and a fruit and floral finish, while Tapanga White is delicate and soft, with an aroma of tropical botanicals ─ the perfect rum for a delicious cocktail. Rum lovers are in for a treat with this carefully crafted rum! Visit their website if you want to arrange a tour to experience this amazing rum firsthand. The multi award-winning Inverroche Distillery near Stilbaai in the Western Cape is well-known for its delicious and famous Inverroche Fynbos gin, but did you know they also produce liqueur and rum? African Blackstrap Rum is crafted from treacle molasses and only 800 of these bottles are produced each year! This barrel-aged rum is famous for its sweet vanilla, citrus and dry smokey flavour, with a lovely butterscotch finish. So if you’re feeling uninspired when buying a gift for your dad or boyfriend’s upcoming birthday, what could be more charming than a craft, limited-release rum? All tastings must be pre-booked, so if you’re keen on tasting African Blackstrap Rum, you can visit their website for more information. Inverroche is also available at all major retailers and outlets in South Africa. Made directly from fresh, unprocessed sugarcane juice squeezed from sticks of Nkomazi sugarcane, MHOBA Rum is unique in the sense that it’s not mass produced from molasses like most rum is. The farm where this craft rum is produced is in the heart of the cane-growing area in the Crocodile River Valley of Mpumalanga ─ a picturesque area well worth a visit. The processing of MHOBA Rum merely contains sugar, water and toasted oak, and excludes any flavourings and colourants. This may spark rum experts’ interest, as the majority of large-batch producers make use of these additions. MHOBA Rum is therefore the perfect drink for those who particularly value agriculturally produced products, no additives! If you’re an enthusiastic supporter of agricultural spirits, you can visit their website for more information or order MHOBA Rum on takealot. If you like your rum on the rocks, then Durbanville Distillery Rum is the spirit that will get you all warmed up during this extra cold winter. Father and son duo, Robert and Eugene Kleyn, set out to produce the best hand-crafted, small-batch, cold-distilled spirit. They do not only make carefully crafted rum, but also gin and vodka. At Durbanville Distillery, they aim to retain the centuries-old heritage of rum while applying the best modern methods. By using the essence of Black Strap Molasses, the purest African ingredients are emphasised. The silver rum has no flavouring, colourant or sweeteners added, and you’ll enjoy this unique taste best on-the-rocks or with your cocktail of choice. Durbanville Distillery Rum is known for its hint of vanilla, soft toffee taste, followed by a delicious caramel aftertaste. That sounds like the ideal middle-of-winter treat, right? Visit their website if you’re interested in purchasing a bottle of one-of-a-kind rum. Be on the lookout for rum bars! SeaBreeze Fish & Shell at 213 Bree street, Cape Town is the proud host of 20 international and national rums. They have half-price signature rum cocktails every day between 17:00 and 19:00! Roxanne’s Rum Eatery in Fourways, Johannesburg mainly sells cocktails with MHABU Rum as base, and boasts an intriguing hipster vibe. Brian Lara Rum Eatery in Linden, Johannesburg, the Caribbean-themed restaurant and bar offers rum-based drinks that will make you feel like you’re on an island getaway! Sometimes it can be a drag to keep up with all the hip and happening trends ─ at least sipping on your favourite spirit also makes the cut to be a part of the cool crowd. Don’t wait for the next booze trend to replace rum! Go on a rum-tasting adventure and support South Africa’s wonderful local craft distilleries while travelling the country at the same time.